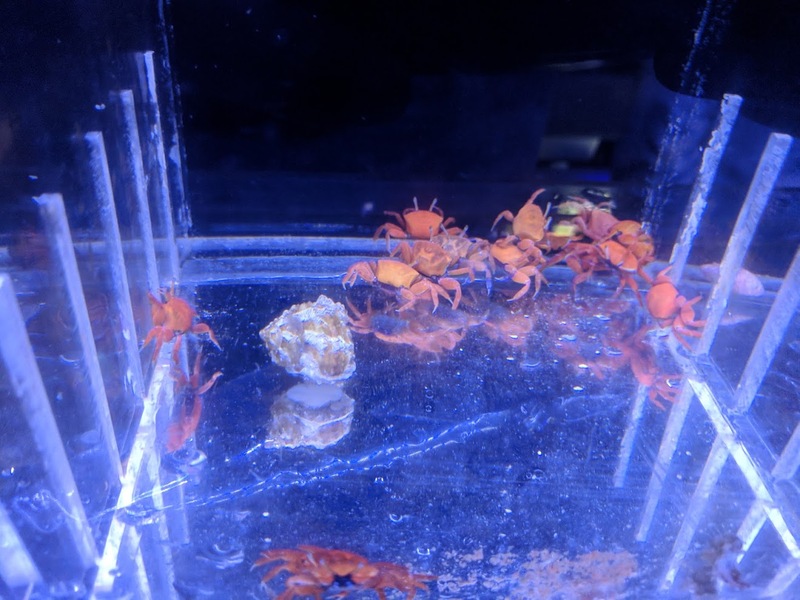 Notes: While the Red Fiddler crab is a social animal, it may show aggression towards smaller crabs or snails that intrude into its favorite territory. In the aquarium it will eat meaty frozen or live foods, and can be "trained' to come out to grab its food. As an active scavenger it will help control algae by eating food sources that would act as fertilizer to algae.